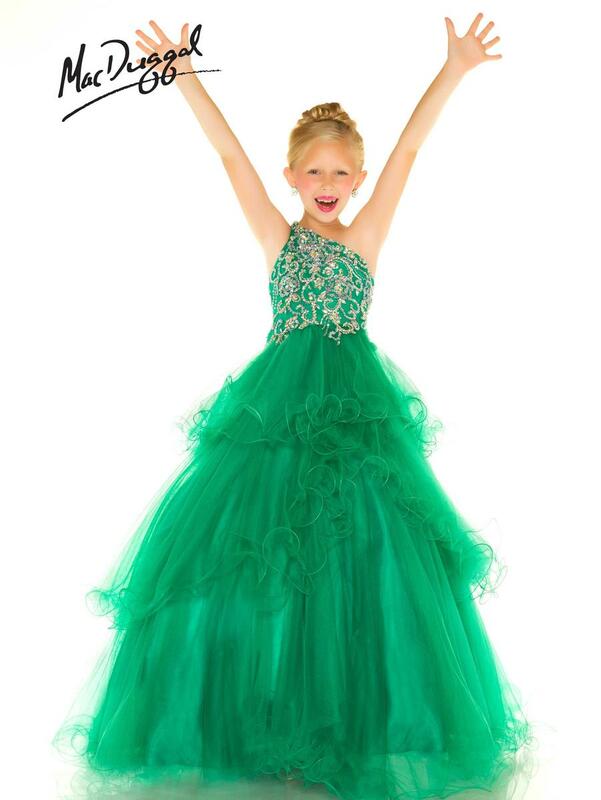 Your pageant girl will light up the stage wearing in a vibrant Fuchsia or Emerald color that is sure to leave the judges speechless! The vine embellished bodice is encrusted with AB stones and sparkling sequins. This dazzling floral vine pattern wraps around the bodice and up the one shoulder strap. 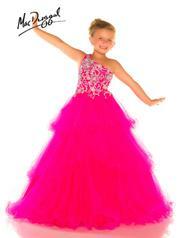 A dazzling line of stones are also placed along the waistline of this princess pageant dress. Layers of ruffled tulle drape the skirt and to surely make a statement from the moment your pageant girls crosses the stage.